This course reveals 10 “outside the box” tips for safe-yet-rapid weight loss — without changing a single thing about your diet or exercise routine! Called 24/7 Fat Loss, this course reveals 10 "outside the box" tips for safe-yet-rapid weight loss — without changing a single thing about your diet or exercise routine! The '3 Fat Loss Phases' of your day and how to maximize each one! Simple yoga poses that can help squeeze inches from your tummy! The single best kind of water for weight loss! 3 delicious beverages for quickly reducing bloating and puffiness! Why making yourself cold (in 2 ways) sets your metabolism on fire! The nighttime "fat switches" almost nobody remembers to turn off! 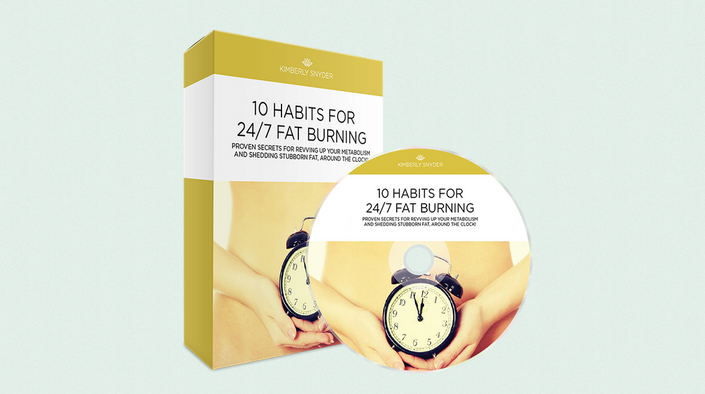 The 24/7 Fat Loss Course is packed with info you'll use immediately to speed up your fat loss, and see results so quickly. 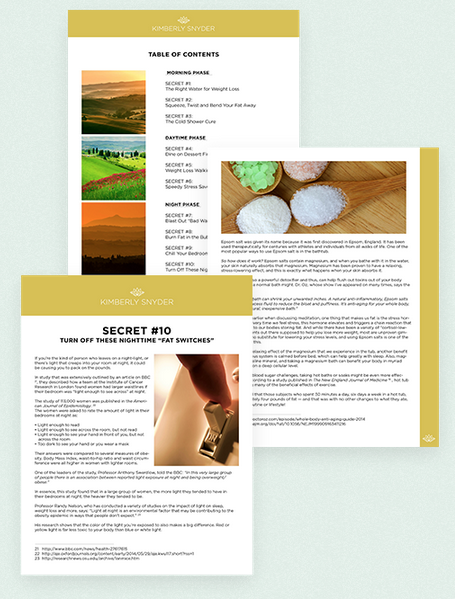 It includes a 40-page PDF booklet and a 80-minute audio class where I personally walk you through each individual tip and give you deeper insight into the whole system.